On this episode of we discuss w/guest Gayle Falkenthal, WattUNeed, and Shawn Newton we discuss..
– We recap Wladimir Klitschko’s win over Bryant Jennings. Was this fight a case of Klitschko not fighting well, Jennings fighter better than expected or both? – Sadam Ali scores a solid win over Francisco Santana. How close is Ali to a world title shot? – Badou Jack puts on the best performance of his career defeating Anthony Dirrell to win the WBC Super Middleweight title. – Daniel Jacobs stops Caleb Truax. How does Jacobs compare to the elite Middleweights in the world and who should he fight next? 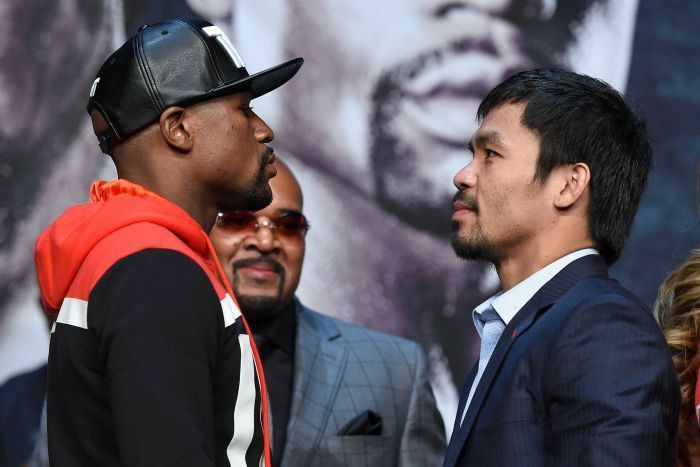 – We go all out preview the upcoming superfight between Floyd Mayweather Jr. and Manny Pacquiao. We discuss, the strengths, keys, and our official predictions for the fight. Things got heavy as we everything. And by everything, I MEAN EVERYTHING as things got very introspective and personal.